Endodontics is a special type of dentistry that focuses on your tooth roots and nerves. At Aponia Dental, we’re proud to offer endodontic therapy to our patients here in North Edmonton, Alberta. The most common endodontic procedure is a root canal, where the damaged pulp is removed and the space is sealed off. Most root canals can be treated right here in our office. However, if there are any complications in a particular case, we will refer to an endodontist. An endodontist has more specific equipment and tools to deal with an advanced root canal. 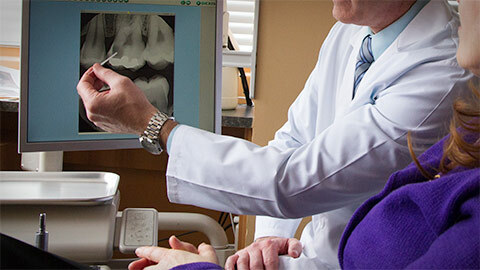 If you need more information about Root Canals in Edmonton, contact us today.